BK Beauty 520 is out of BK Beauty 808 and is by 908, our Danny Boy son. Everyone loves their Danny Boy calves. His calves come really light and show excellent growth. They are really sharp and eye appealing with a lot of show potential if that is what you are looking for. As of July 2006 this 7 frame sire had over 1,000 calves with a birth weight ratio of 98 making him a very reliable heifer bull. Click here for her pedigree. The heifers have all had their annual shots and have been bangs vaccinated. $1,800 each or $1,500 each if you take a group of 5 or more. 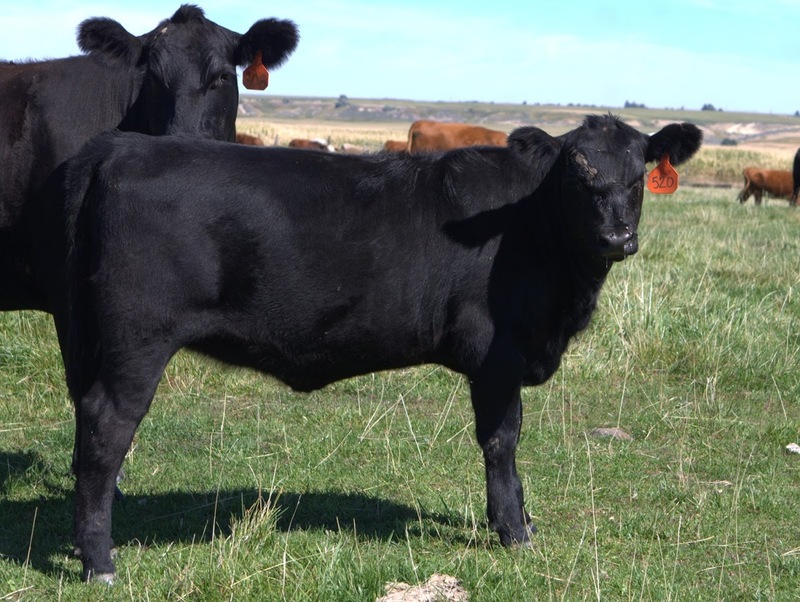 This entry was posted in Uncategorized and tagged #AngusforSale, 2015 Angus heifer, Angus for sale, Angus heifers, Angus in Washington, Angus show heifers, show cattle for sale, Show heifer, show heifer prospects. Bookmark the permalink.